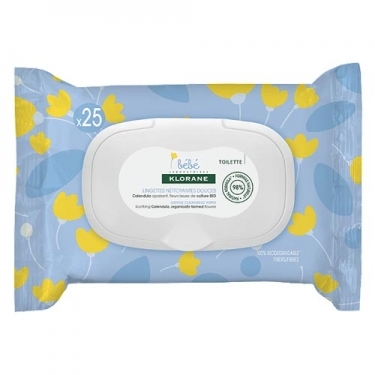 DESCRIPTION: Bébé Lingettes Nettoyantes Douceur from Klorane are cleaning wipes for the baby's face and hands, very soft, practical to use and extremely delicate for the baby's skin. Clean hands and face quickly and effectively. High tolerance, does not leave greasy film and gently scent the skin. They are ideal for trips or trips.